Dr. Roy was one of the original pioneers of oral appliance therapy for sleep apnea in North Alabama. An oral appliance is a type of medical device that is inserted comfortably into the mouth in order to expand the airway opening. 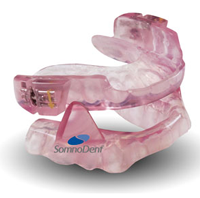 Oral appliances are reasonable treatment alternatives for certain patients who have obstructive sleep apnea. Although CPAP is considered the “gold standard” therapy for the treatment of sleep apnea, patients may have difficulty wearing CPAP on a nightly basis for a variety of reasons. When worn during sleep, an oral appliance works by moving the lower jaw slightly forward. This exponentially reduces the resistance to airflow and maintains the patency of the upper airway during sleep. Clinical trials have suggested that oral appliances may lower blood pressure, reduce sleepiness, and improve quality of life. However, not everyone with sleep apnea will benefit significantly with an oral appliance. There are numerous factors that are considered to determine whether or not an oral appliance will successfully treat a patient’s sleep apnea. Dr. Roy and his team evaluate each affected patient to determine the likelihood an oral appliance will treat their sleep apnea. It is important that you choose the correct oral appliance device for proper treatment of obstructive sleep apnea and have your progress monitored for effectiveness by a qualified sleep physician. Not all advertised dental devices advance the opening of the airway adequately. They may only improve snoring and not treat the sleep apnea that is adversely affecting your health! It is important that the right oral appliance device is custom made for you and adjusted appropriately by a sleep physician to optimize your sleep and your health! 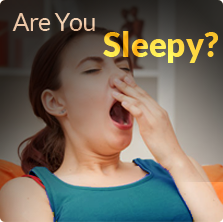 Roy Sleep Medicine also employs local dentists who are qualified to create these devices and evaluate patients in our office. This also allows for the convenience of a single point of service for our patients sleep treatment needs and appropriate follow up. 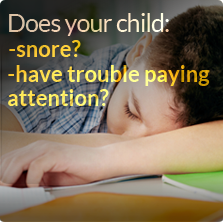 *Please contact Roy Sleep Medicine today for your consultation.